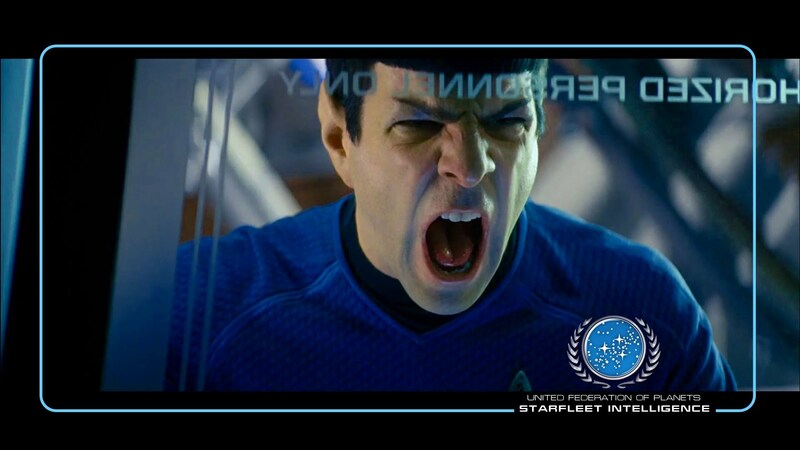 Let me nerd up one more time for a final post on the new Star Trek movie. I posted two last week and a third is probably overkill, but its my blog so I’ll do what I want. For starters, I would rate this as a middle of the pack Star Trek film. I liked it, but it doesn’t even come close to the top of the line in the genre. It is definitely not as good as the 2009 edition. The special effects were nice and the Enterprise looked beautiful. All of that was expected. Benedict Cumberbatch is awesome but so too is Chris Pine and Zachary Quinto. For me though, the story was weak and forced and the dialogue was not as crisp as I expected. It felt to me that Pine and Quinto didn’t have that much of a script to work with. I loved what they did with Scotty, though. From the TOS (The Original Series) we knew that Scotty had a drinking problem and a fiery stubborn temper, so having him resign and make his way immediately to a bar was perfect. By contrast, Chekov is reduced to running around the engine room like an incompetent cadet (what happened to the boy genius from the first film?) and Bones is almost non-existent. Uhura virtually disappears as she is only important insofar as she relates to Spock. These are not problems necessarily of plot or of directing, but of dialogue. The dialogue was very bad. Carol Marcus apparently was just eye candy (what’s with her suddenly and inexplicably stripping down? That made no story sense) and Admiral Marcus was a total cliche. Now, in addition to this, here are some things that caught my attention. 1. I loved the Section 31 reference as being responsible for the whole debacle. It made me miss Dr. Bashir. I know that most folks think the tribble business was the big tip of the hand to Star Trek fans, but they are wrong. When Section 31 was referenced my oldest daughter and I began to visible beam with joy. 2. I did not love the casting of Benedict Cumberbatch as Khan. Let me be clear, I love love love Cumberbatch. He did a great job in this movie and he is a powerful actor. However, Khan Noonien Sing is supposed to be an Indian prince, not a British Caucasian. I know that the timeline is different in this film universe but that alternate timeline didn’t go into effect until Kirk’s birth on the Kelvin. Khans character from the past (1990’s) should be unaltered. 3. Seat belts. It has been the longest standing joke that there are no seat belts on the Enterprise. It is about time. 4. Wasn’t it great when new Spock calls old Spock for help? Yeah, it was. 6. Three times Captain Kirk has died in a Star Trek film. Why, why can’t he at least die on the bridge in one of them? 7. The Klingon bird of prey was awesome–did you notice the wings moving up and down? That was nice but so too was the commando type zip line decent into battle. That was very, very Klingon. 8. The “darkness” alluded to in the film didn’t last long. Kirk should have stayed dead through the end of film. If you’re going to kill him like you killed Spock so many years ago, you lose the weight of it if you bring him back so quickly. Or just leave him dead. You’ve already destroyed Vulcan, why not off Captain Kirk and then make the next Star Trek Movie all about Spock or, better yet, go to another timeline and get the real Kirk? As it is, they combined Star Trek II and Star Trek III in about seven minutes of film. 10. Another moment my daughter and I shared was when all the captains were together in the briefing room right after the terrorist attack. Before Captain Kirk even begins to piece it together, I looked at Belle and she looked at me and we both said at the same time, “Godfather Part III” and sure enough here comes the same helicopter kill scene. Is it homage, or is it copycat? You decide. 11. Last thing–and then I promise I’ll quit complaining–Kirk was written up for violating the prime directive when he saved Spock. Right? Did anybody else think, “Hey, wait a minute, stopping the volcano and saving that civilization (which clearly was a reference to TOS) is a complete and total violation of the prime directive anyway.” I mean, for crying out loud, Captain Picard would have let the whole world blow up without doing a thing to help them while he drank tea. All in all I enjoyed it, liked it, and am pleased with how right I was about what it would be. These are the things that caught my attention on the first viewing. I am certain I will see it again. Certain.